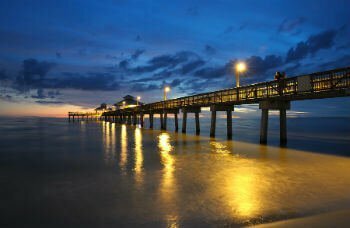 One of the country's most popular winter destinations, Fort Myers real estate attracts thousands of visitors each year with palm-lined streets and endless parade of sunny days. 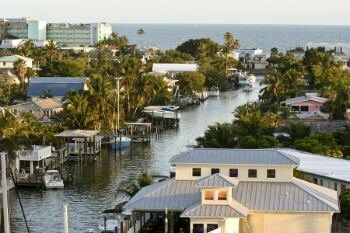 With the youngest population in Southwest Florida, Fort Myers has an energy and vibrancy all its own. Fort Myers homes for sale range from stunning beachfront estates to cozy cottages, but all regional properties seem designed to maximize enjoyment of life and are close to family-friendly attractions and top-notch beaches. Whether you're looking for a single-family residence or a splendid waterfront condo, you'll find it here. In addition, this city boasts many exclusive communities offering an array of resort-style amenities that make it a perfect destination if you're looking for a Fort Myers vacation home. Read more about some of these great Fort Myers homes for sale or take a look at our detailed Fort Myers real estate listings below. Register with Key Real Estate online to receive instant access to detailed listings of Fort Myers homes for sale. Stay current on all the latest news in Southwest Florida real estate. From sprawling estates to waterfront condos, dwellings in this beachfront city have been designed with serenity and relaxation in mind. Starting at just over $200,000, they are an affordable chance to live in the natural paradise of Southwest Florida, but people seeking a little extravagance will almost certainly find it as well. Whatever your desired lifestyle and budget, in fact, you'll find Fort Myers real estate to support it. When it comes to Fort Myers homes for sale, the possibilities are limited only by your imagination. You might find yourself in a Spanish-style carriage house, with its characteristic red-tile roof and a private balcony overlooking the waters of a nearby nature preserve. Or perhaps you'll decide on a Dutch Colonial, its nineteenth century style pleasantly at odds with the tropical landscaping in Seminole Park. Or maybe you'll live in a spacious ranch home near the River District, where you can host family gatherings on the spacious yard before heading to the marina for ice cream. There's a lot to do in Fort Myers. In historic downtown, residents can hop aboard a free trolley that provides access to the areas many attractions, retailers, nightclubs, and restaurants. People looking to unwind also visit the gulf islands of Sanibel and Captiva, former pirate hideaways which offer white sandy beaches that are perfect for collecting shells, birdwatching, or sailing. Whether you're strolling along its waterfront city center or taking up local pastimes like kayaking or deep-sea fishing, you'll discover that Fort Myers supports an active, modern lifestyle. The region is also home to more than thirty golf courses as well as dozens of natural preserves and regional parks that offer excellent hiking and kayaking opportunities. And, although the nearest major league teams are in Tampa Bay and Miami, Fort Myers residents get to watch lively pre-season baseball at the spring training camps for the Boston Red Sox and Minnesota Twins. Long considered a gateway to the southwestern half of Florida, Fort Myers real estate is conveniently situated along Interstate 75, two hours south of Tampa and just north of Estero, Bonita Springs, and Naples. The city is also home to Southwest Florida International Airport, a busy hub that attracts travelers from across the continent. Boaters, in particular, find Fort Myers homes for sale attractive because the city lies so close the entrance to the Caloosahatchee River and the Okeechobee Waterway, a man-made network of rivers and canals that goes from Fort Myers to the city of Stuart on the Atlantic ocean. A leisurely trip down this waterway is a great way to see the rest of Florida, from coast to shining coast, and you'll be living nearby! You can learn more about how you and your family can live in one of these Fort Myers homes for sale by contacting Key Real Estate now.